Got custom or aftermarket pups in yer Strat? READ WHY RW/RP MIDDLE PUPS ARE A NON-ISSUE - it ALL works! Will your mods work for me? These kits are designed to drop right in to a standard Strat pickguard. Please note that a s/h fee of $4.50 will automatically be added to EACH ITEM in your order (for both domestic and international customers). Don't blame me - the USPS gets ALL of this! fees or penalties incurred from purchases/packages shipped from the USA to your country. Be sure that you check your local import/export customs laws. Confused about which kit is which? How easy is it? Watch me install one! Step by step photos - click here! Use this button to order any of the "Memphis Mods"
NOTE! 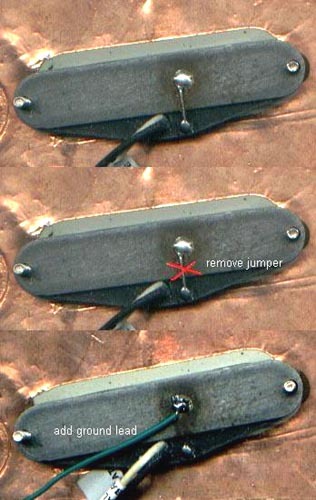 These switches are designed SPECIFICALLY for genuine Fender "Fat Strat" models! IF you do NOT have an official, honest-to-gawd FENDER-built Fat Strat, CONTACT ME before buying! including the Squier Fat Strat. and yer ready to ROCK!